I may never smoke pot again. What, are you crazy, Old Hippie? You worked and worried all this time to be able to smoke pot legally, and now you’re going to quit?!?!? Well, no. Actually, I’m just going to quit smoking it, because as we all know from cigarettes, smoking is bad for you. Even though people smoke far less marijuana than tobacco, there are still many bad effects of smoking per se that are not good for your health. For instance, smoking anything, even marijuana, will cause you to inhale carbon monoxide and various tars, none of which are good for either your head or body. Perhaps more important to some people will be the fact that smoking marijuana actually destroys many of the chemical compounds that get you high, or do other things that you want. We didn’t know any of this back in the day, but you can heat up marijuana until these compounds (THC and cannabinoids) vaporize, and then you simply inhale the vapor. Nothing actually burns, there’s virtually no smoke or odor, and it’s not only healthier but more beneficial. Did I mention that it saves you money because you need far less cannabis for the same (or better) effects? Anyway, I was very excited when I found this out, until further research showed that the vaporizing units that most people use cost $200 to $500, which is a bit out of my budgetary range. 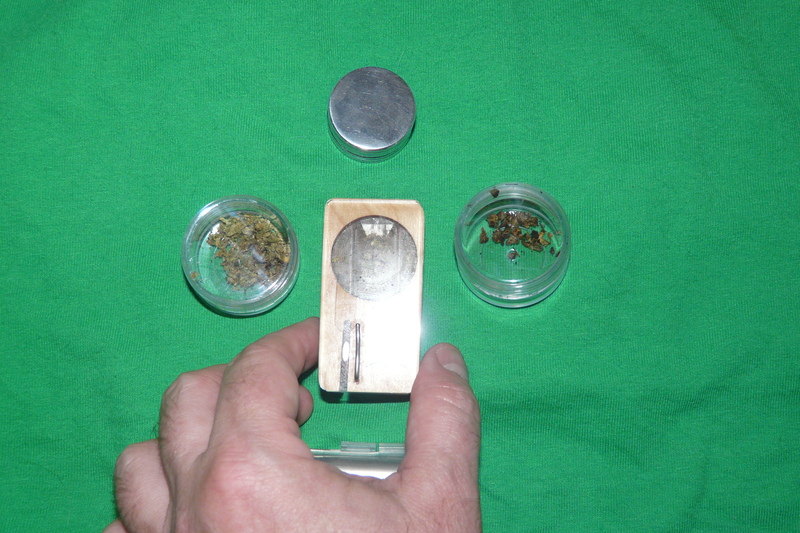 However, even more research uncovered the Magic-Flight Launch Box (MFLB), which is a very well-designed vaporizer I bought for about $100. Its design is really intended to be portable, discreet, and/or stealthy, but it turns out that it’s so elegant and easy and fast to use that it’s perfect for me, who will be using it 99% of the time at home. So far I’ve found that vaporizing lessens throat/lung irritation from smoking, but still causes coughing (at least for me, who is used to taking large hits). The feeling for each strain is different from smoking. It generally feels less intense, but I am only taking two or three hits as opposed to at least twice as many as that when I was smoking. I could easily get “bombed out” with this thing, but my goal is not to get stoned anyway, it’s to help my medical conditions. That’s awesome man. The Volcano is the only vaporizer I’ve used that works well, but vaporizing is definitely the way to go. Less stress on your lungs, no sinus infections, all around a better way to utlize the gift of cannabis. The second picture is amazing! I can see little crystals on each piece! Wait, let me wipe the drool off the screen…nope, they’re still there! Awesome! I just recently locked all my pipes up and switched to a vaporizer myself. My lungs already feel better. I can’t believe I didn’t go any of your other posts until just now. That’s FANTASTIC! With a vaporizer there’s no odor? Brilliant! Can you tell I’m completely new to this? I finally pull the trigger and ordered a MFLB. Mostly due to the very good article you wrote here. I’m looking forward to vaping and keeping my ABV to use for edibles. Right now I can afford to either smoke it or cook with it. But, with a vape, I’ll get more bang for my buck. Let us know if you pick up one of those power converters that plug in, and tell us how it works for ya. Got my Magic Flight Launch Box today. Very nice. I can vape in our non-smoking house. I can even vape sitting next to my wife. She doesn’t use MJ and doesn’t really like the smell. She couldn’t even smell it (sitting 8 inches away from me). Highly recommended. Now I can start saving up AVB and try some of this cooking. This has been so helpful to me. I am so so new to this. Forty yrs old before I ever even tried it. Im like the above comment. I hate the smell and need to be able to take care of my medical problems without everybody and their brother knowing what im doing. Thank you, im now going on 2yrs pain medication free. I was on it for ten yrs. MJ is the only thing that I have been using for the past month. I just cant handle the pain. But I refuse to go back on pain pills. Had one for a few months now. Amazing little thing. Christine, that link you gave is a link to buy the web page/domain name! Ack! Thanks, I marked that as spam. I’ve been using a MFLB for a couple months now with some mixed results. For years I’ve used a one hitter (little metal cigarette looking rod with a wooden stash box) that one or 2 hits would be quite adequate. I’d recently tried several vape pens……they didn’t really vaporize and no way I was reusing the ashes (the pens combust the load, no ABV worth saving) so I’ve given them away. Stealth isn’t an issue since I only use at home. The MFLB requires a lot more work and pot, but the effects tend to be gentler so I can function and I do like the quirky design of the vaporizer. And then there’s the bonus of ABV which gives a LOT of bang for the buck! Next up, making the attachment to use with a bubbler:) Cheers Old Hippie! Glad to see people still finding this article and finding out about the MFLB! Nugs and hugs!